A good foundation is like an Instagram filter—a must-have in this world of instant beauty and tres chic trends. Whether you’re looking to brighten, lighten or magically ‘fix’ spots, a good foundation can do all this for you and so much more. As someone living in Asia, there is no dearth of new beauty products flooding the market every second day, but when it comes to quality over quantity, how many of them really pass the test is the real question. Now, since we at StyleCraze are always more than willing to share our infinite wisdom with all you bellas, here’s bringing to you our list of the top 10 foundations for the Asian skin tone. Read on! 1. Undertones and complexion don’t always go hand in hand. A rookie mistake most people do while buying foundation is to simply match the foundation to the color of their skin. You’d think that if the foundation matches your skin, then it must complement it too, right? Wrong. Fair or dark or somewhere in between, you could carry warm or cool undertones to your skin. While people with cool undertones have a pink or blue hue to them, people with warm undertones carry yellow or olive hues to their skin. Most Asian women have strong yellow undertones, but remember that this is not the rule, and you might be fair with warm undertones, or dark with cool undertones, or vice versa. 2. Checking your undertone is not nuclear physics. An easy way to check what sort of undertone you have is to stand under a bright overhead light and check the color of the veins on your forearm. If your veins appear green, you have a warm undertone; if blue, then cool. If even this seems too difficult, just use a MAC NC shade chart to know. 3. Finding the right foundation may not be a cakewalk. Sometimes even though you may identify your complexion and undertone correctly, stores may not carry your particular shade of foundation in which case, do not go for a shade lighter or darker as that’ll make your face look pasty white/caked up. Instead, mix two shades to get an intermediate one that suits you better. If you feel you aren’t accomplished enough to do it by yourself, get a friend or cosmetician to help you. The most important thing to remember while buying the right foundation is to test it on yourself, instead of blindly buying something online. Even if you feel like you’ve found the right match on the shade chart, trying it on yourself in person will give you a better idea of just how well the foundation goes on your skin and looks under different light conditions. Always test the color of the foundation you’ve picked on your jaw line to check how seamlessly it blends in with the rest of your skin. Avoid testing it on your forehead or cheek. Blend the foundation into your skin and check under conditions of both natural light and artificial light for best results. Once again, do not buy shades darker or lighter than your actual color unless you want to look like a ghoul/pancaked ghoul, in which case, more power to you! 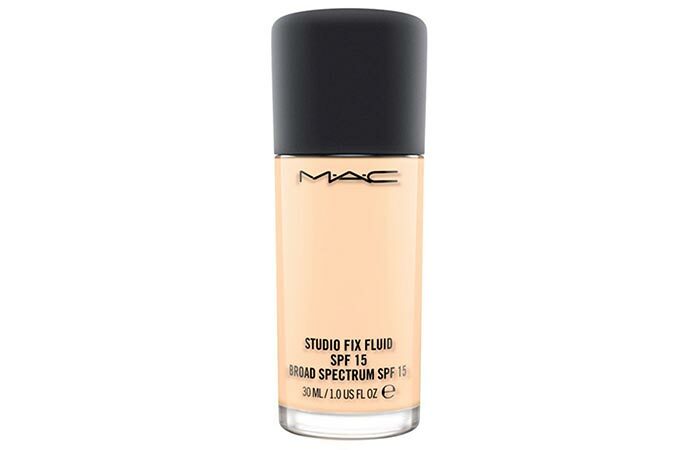 With its broad spectrum UVA/UVB SPF 15 protection, the MAC Studio Fix Fluid Foundation is a modern foundation that gives you medium, buildable coverage for a natural matte finish. Easy to apply and easy to blend, it’s the perfect long wear foundation that helps minimize the appearance of pores and imperfections to give your skin a smooth and flawless finish. The MAC Studio Fix Fluid Foundation has been an obsession with us for years now. No, really. If we had to lock something up from this age in a time capsule for our future generations to see, this foundation would definitely make that list. As pioneers of the undertone shade chart, they carry a wide range of foundation shades that covers pretty much every woman on this planet, but if you still don’t make it to that list, BLEND! A no-fuss, no-muss foundation, the MAC studio foundation is a liquid foundation that gives you decent coverage allowing you to build it up quite nicely. A true boon to oily skinned women particularly, the oil absorbing formula in this foundation does a fantastic job of absorbing every little hint of oil from our skin to give it a superb matte finish that we can’t help but touch. The only ‘con’ if we had to think of is that women with dry skin might find this formulation a little too drying for their skin. However, you can always fix that by starting off with some moisturizer before applying this liquid foundation. Yes, it really is that simple! 5 cherry topped stars for this little ‘genie in a bottle’. Made with the NARS Complexion Brightening Formula, the NARS Sheer Matte Foundation is an oil-free, matte-finish foundation that provides buildable coverage to control oil and shine throughout the day. Use regularly for improved skin brightness, radiance, and texture. Recommended for normal to oily skin types. 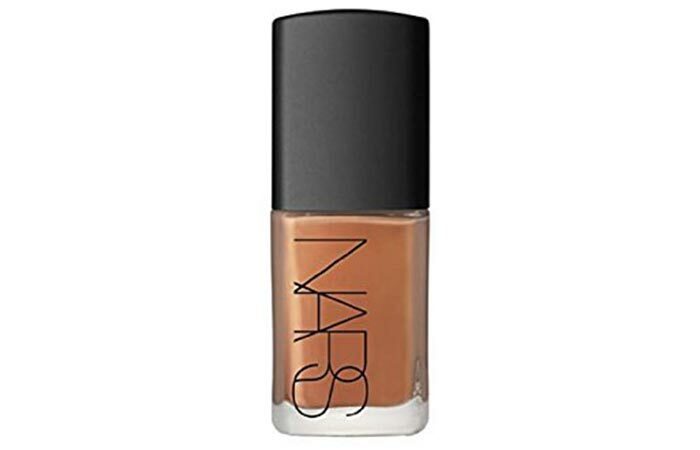 Close on the heels of the MAC Studio Fix Fluid Foundation, comes the NARS Sheer Matte Foundation. Quite similar to the MAC foundation in terms of buildup and coverage, NARS is one step ahead of MAC when it comes to its oil control formula. We tested this foundation on ourselves to find that even after a full day out in the Sun (4-5 hours out and about), the foundation had great staying power and continued to keep the oiliness under control. Hello. What. Will You Marry Me Already? NARS claims that if worn regularly, it helps improve complexion and skin texture too. Now, while we haven’t used this foundation long enough to test that claim, we sure are digging how great it looks on us and makes us feel. Women with dry skin would be well advised to stay away from this though, as the oil control can get too much in their cases, leaving the skin looking flaky. Another teeny con for us was the lack of SPF. So, if you do decide to get this product, make sure to add a good sun block to your shopping cart too. The Estee Lauder Double Wear SPF 10 Foundation feels so lightweight and comfortable to the skin that you won’t believe it’s super long wear. Specially formulated to give you a flawless and natural look, it lasts through heat and humidity without changing color or coming off on your clothes! There seems to be a wide market out there for women with normal to oily skin. And if you’re in that category, then here is another great product for you. Estee Lauder has always been on our watch list for its moderately affordable products that go on our faces like a dream. 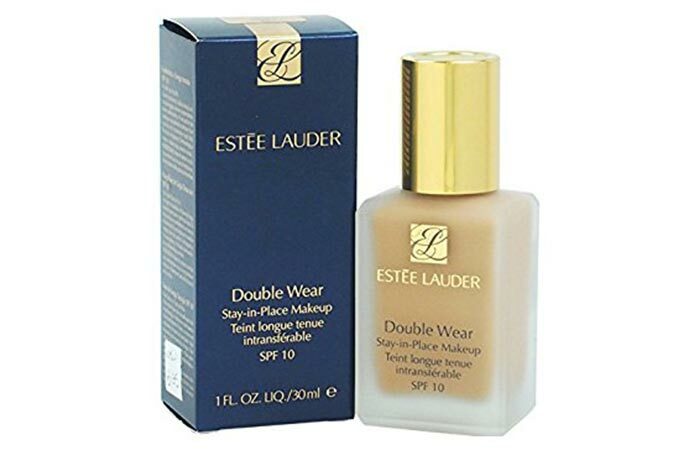 Coming to the foundation itself, the Estee Lauder Double Wear SPF 10 Foundation is a super long wear product that beats both MAC and NARS in this category. If you’re a busy woman that doesn’t want to deal with the hassle of constant reapplication, the Estee Lauder Double Wear is your new best friend. Water proof, transfer-proof and with the goodness of SPF, our only complaint with this little baby is that it doesn’t work very well on dry skinned women as it has a tendency to start looking pancake-y. The glass bottle too makes for a bummer for the jet-setting woman as it isn’t very travel-friendly. However, if those are cons you just rolled your eyes at, then, as our top pick for women with oily to combination skin, make sure you get your hands on it. It will definitely stay with you longer than your boyfriend ever will! The Laura Mercier Candleglow Soft Luminous Foundation is a unique formula that boasts of light reflecting pigments that capture your skin at its best light, day or night. The added goodness of moisturizers gives your skin a double boost of hydration all day long for that perfect dewy finish. Finally! A foundation created keeping the needs of the dry skinned women in mind. 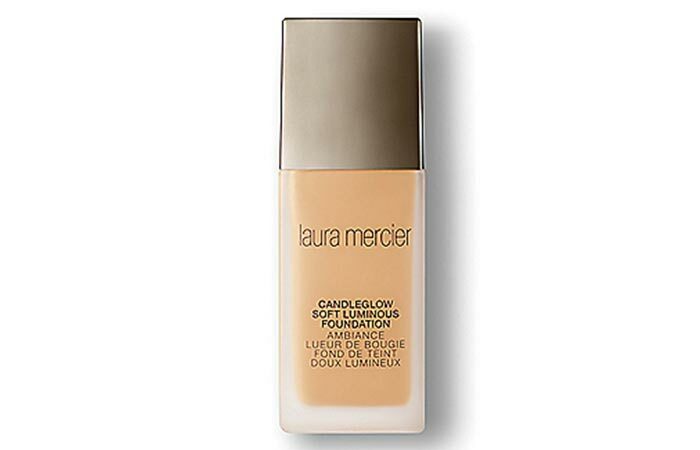 With an absolute lack of anything matte, which is a boon for women with dry skin, Laura Mercier Candleglow Soft luminous Foundation is a lightweight, sheer foundation that has provided the best dewy look we’ve seen in recent times. Though marketed as a medium coverage product, it’s really more of a sheer product that needs to be built up for medium coverage if that’s what you’re looking for. The hydration formula present in it did a good job of keeping the skin feeling moisturized and not like it’d been trapped in the Sahara for the past century. Oily to combination skinned women, especially ones with fading scars would be well advised to stay far, far away. But if you have normal to dry skinned and looking for that perfect dewy finish, our advice to you would be to hold on to this foundation and never let go. 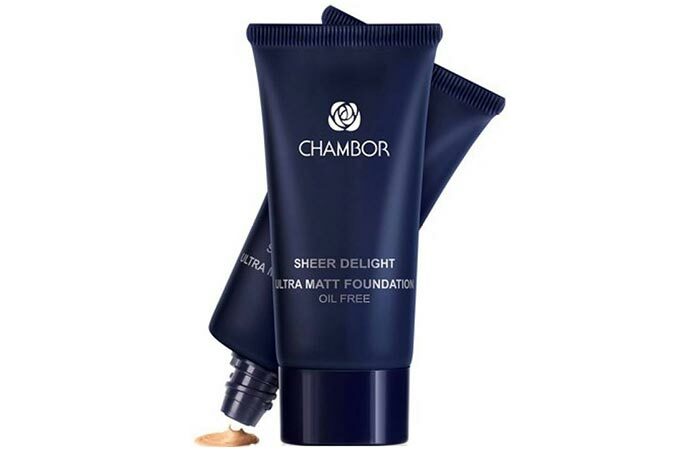 Now, keep your flawless ‘morning look’ on all day with Chambor’s Sheer Delight Ultra Matte Oil Free foundation. A long wearing formula, it keeps you looking fresh and natural through humidity, heat and non-stop activity. Use it for skin that feels soft and supple, while you feel lightweight and comfortable. 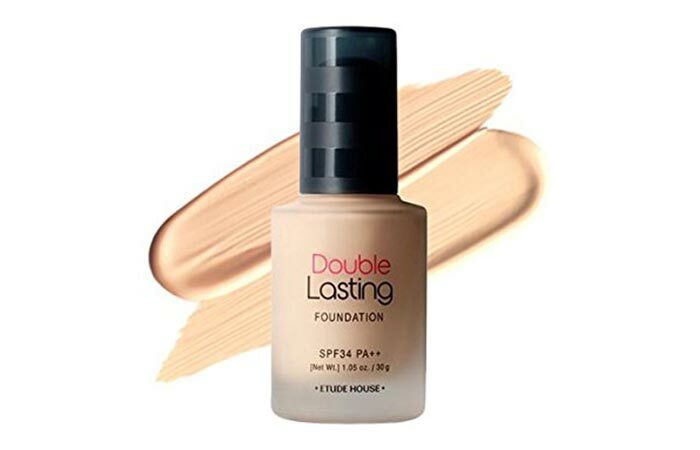 The Etude House Double Lasting Foundation is a long wear foundation that provides the perfect cover with a lightweight, fitting feel. Tested to provide coverage that lasts you for all the 24 hours of a day. Since its debut, Etdue House has made subtle but steady inroads into the global fashion market. 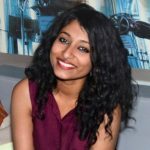 As an Asian beauty brand, they understand the Asian beauty market better than most Western competitors. Coming to their foundations, the Etude House Double lasting Foundation is a lightweight, watery foundation that provides BRILLIANT coverage. We decided to test their claim of 24-hour power on ourselves, and are happy to report that summers, humidity and sweat notwithstanding, the foundation stayed on for a long time without needing any reapplications. Our only grouse with this foundation would be that somewhere around midday, the foundation started to oxidize giving the skin an ashy, tired appearance, which is why it definitely needed some tinkering. But if you’re looking for a foundation that works for a set duration, this is an affordable foundation that students and working women alike can afford. Keep in mind though that since this is a highly pigmented formula, you absolutely must apply it with a light hand if a soft, natural look is what you have in mind. Overdoing this may just land you a role in the next Rocky Horror Picture Show. 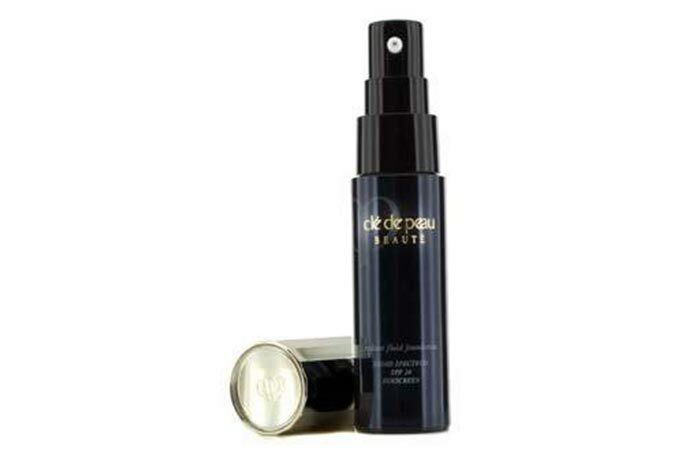 The Cle de Peau Beaute Radiant Fluid Foundation is a skin illuminating and protective liquid foundation that gives you a smooth, moist and radiant finish. The powder particles present in the foundation help diffuse multi-dimensional light on the surface of the skin for a new level of beauty. Comes with SPF 24. Cle de Peau is a Japanese beauty company that manufactures some of the most amazing beauty products known to mankind, and we’re surprised as to why more people aren’t lapping them up already. Agreed you could probably buy yourself a mini elephant at that price, but just try their foundation once you guys, and you’ll know what we’re talking about. Dry skin, oily skin, combination, normal, Martian, notwithstanding, Cle de Peau’s Radiant Fluid foundation goes on every single person’s skin like it was tailored specifically for them. A lightweight formula that surprisingly gives great coverage, we haven’t seen the likes of their finish in a really long time now. It looks perfectly natural, like a second skin, and comes with faintly shimmery particles that actually add to the overall appeal, instead of making one look garish. An absolute must-have, if not for daily wear then for special occasions at least. Do sample this to see how it wears on you before you buy it though. 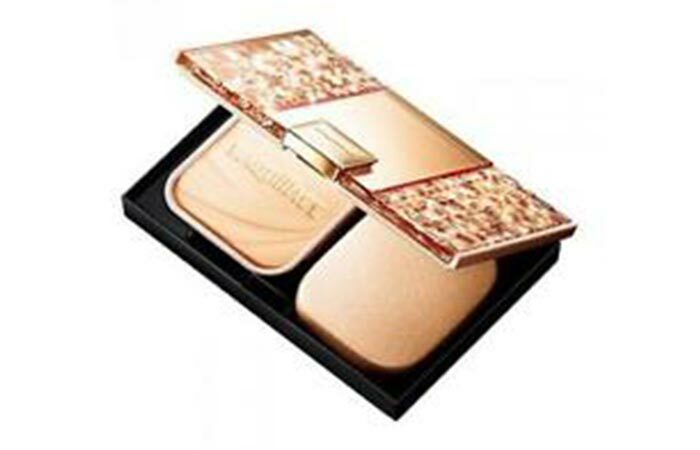 Shiseido’s Maquillage Dramatic Powdery UV Foundation is a unique powder foundation made from the mousse. Using a one-of-a-kind ‘Mousse Press Process’, the fluffy mousse made of beauty essence water wand powder is converted into a powdery foundation that blends seamlessly into the skin to cover visible pores and give you an even skin tone. The best ‘barely there’ natural finish to bring out the beautiful you. Another Japanese favorite, don’t be fooled by its appearance. The Shiseido Maquillage Dramatic Powdery UV Foundation may call itself a powder foundation but actually goes on like a liquid foundation. With some seriously mind blowing coverage, it can be used by women of dry or oily skin alike thanks to its mousse formulation that keeps the skin suitably moisturized at all times. Great for use as a standalone product too i.e., minus a primer and/or concealer. The only glitch with this foundation is that there’s a very thin line between just this much and too much, and it can go from being perfect to over the top within a matter of seconds. Hence, usage with a light hand is highly recommended. 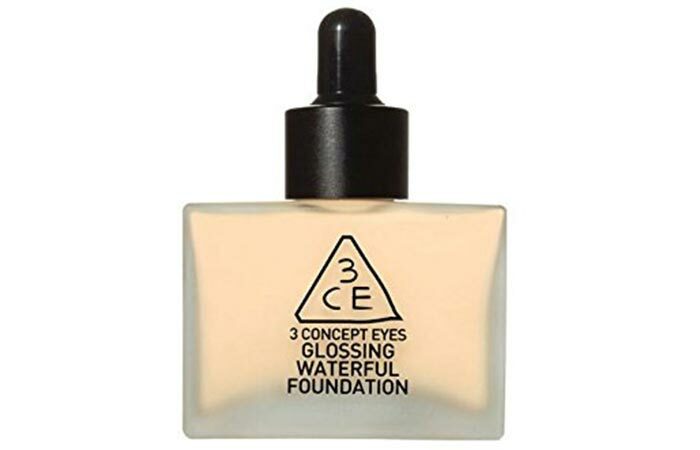 The 3CE Glossing Waterful Foundation combines the goodness of foundation and moisturizer to give you a sleek product that leaves the skin looking flawless and never cakey. After all the waves K-pop has been making the world over, it’s now time for K-beauty to make its entry on the global stage. 3CE is a Korean brand that manufactures a wide range of beauty ranges that are quite popular in the local market. Coming to the 3CE Glossing Waterful Foundation itself, you’d be well advised to read the name again. It is a glossy, super-watery foundation, and anyone who wants otherwise would be well advised to stay far away. Most reviews on this offering from 3CE have been conflicted due to its low coverage that hides no blemishes, but we’re of the belief that if you live in a cold country, or are looking for a lightweight foundation for the winter months, you cannot have chosen a better product than this. The foundation is extremely runny and goes on the skin quite smooth, though it hides pretty much nothing, except for evening out the skin a fair bit. Another thing we like about this product is that it’s a great glossy foundation for someone looking to try a look other than dewy, or matte, but minus any shimmer. The added moisturizer benefits are a huge plus too. All in all, a decent product provided you know what to expect when you pick it up. 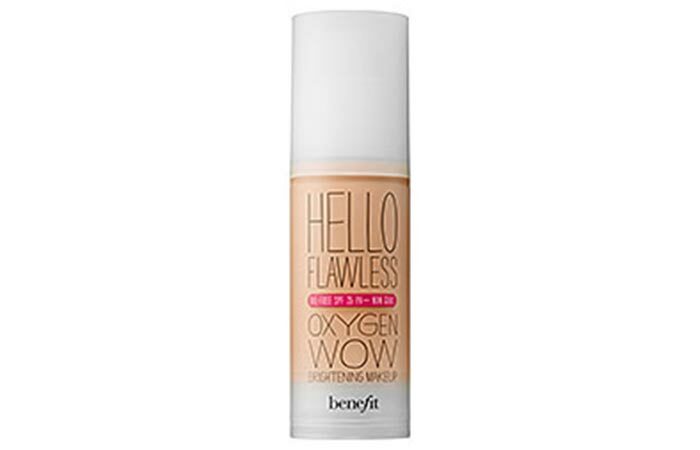 Benefit Cosmetics’ ‘Hello flawless’ Oxygen Wow Liquid Foundation is an oil free foundation that instantly brightens and provides a natural finish. Combining the goodness of Benefit Cosmetic’s exclusive Oxygen Wow Hydrating complex, it hydrates and boosts cellular respiration for a skin plumping effect that combats varied environmental stressors. The Vitamin C and E derivatives present in it are known to prevent signs of aging. Benefit Cosmetics’ ‘Hello Flawless’ Oxygen Wow Liquid Foundation runs high on cute. A light to medium coverage formula, it is a liquid foundation that is ideal for everyday wear, especially if you have dry to normal skin. While there are many better foundations out there in the market, why we feel Hello Flawless is a decent bet is because at the said price point it does a good job of coverage without causing any breakouts. The hydration factor and added SPF makes it a good standalone product for dry skinned women as it gives it a great dewy finish. 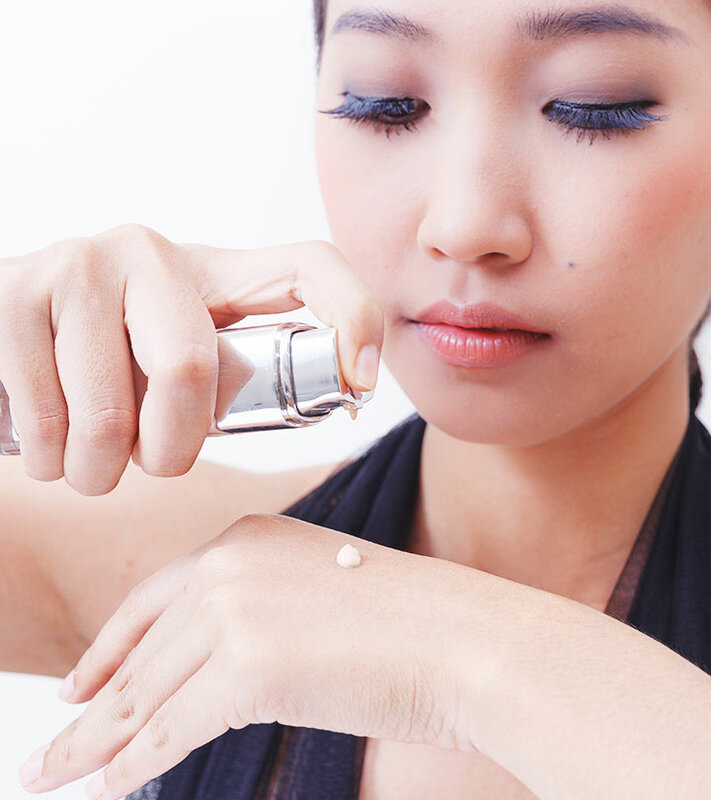 Though not particularly recommended for oily to combination skin women, if you must use it, make sure you use a good moisturizer or hydrating primer on your face before using this foundation. As it isn’t transfer-proof and doesn’t last too long either, we’re going with three and a half stars for this one. And with that, we come to the end of our list of the top 10 foundations for Asian skin tones. We’re hoping you found your right match in this list we’ve curated for you. Let us know with a yay or nay in the comments below!